Spectacular duplex penthouse in coveted Old Town. Floor-to-ceiling windows with skyline views of the city. Open kitchen with all stainless appliances, cherry cabinets and granite counter tops. New hardwood floors, paint and granite baths. Two outdoor spaces - wrap around balcony on the main level with Northeast views and 2nd level has outdoor patio with Southern views. Premium garage parking that can fit two cars. 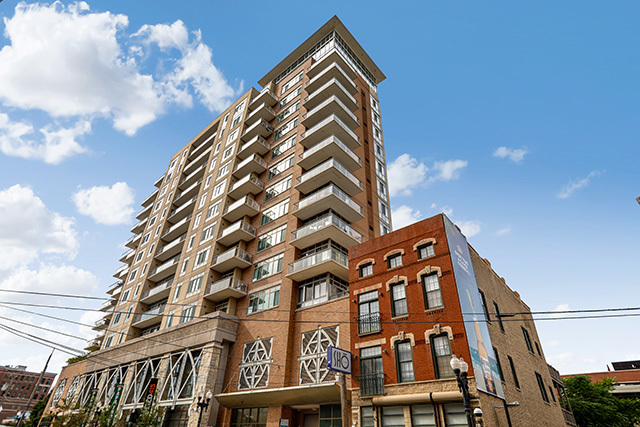 Full amenity building with fitness center, rooftop deck, garden terrace and 24-hour door staff. Directions West of Wells St., South of Scott St., on Division St.
Property information last modified by seller on Wednesday, November 14, 2018, 09:06 AM CST. Information Deemed Reliable But Not Guaranteed. Unauthorized duplication, use, or linkage is prohibited. The information on this web site is for personal, non-commercial use and may not be used for any purpose other than to identify prospective properties consumers may be interested in purchasing. Monthly Payment Calculator results are for illustrative purposes only, not a financing opportunity; calculations assume a 30-year fixed-rate mortgage and do not include closing and other costs. Property Tax on NEW properties is estimated at 1.5% of Listing Price for payment calculation purposes; actual value may be higher or lower.